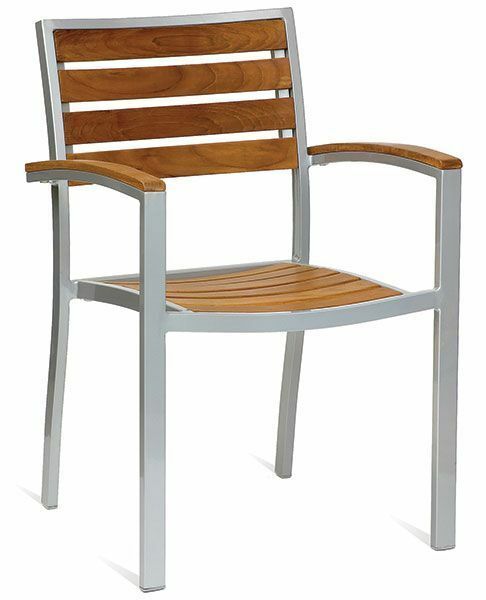 Outdoor chairs with real or imitation teak slats. Robust design for rigorous commercial use. Held in stock for a free and fast delivery. This range of furniture includes an approximate lead time of 2-3 working days. Outdoor aluminium bistro chair with imitation teak slats for easy maintenance. Available on a lead time of 3-5 days working days.